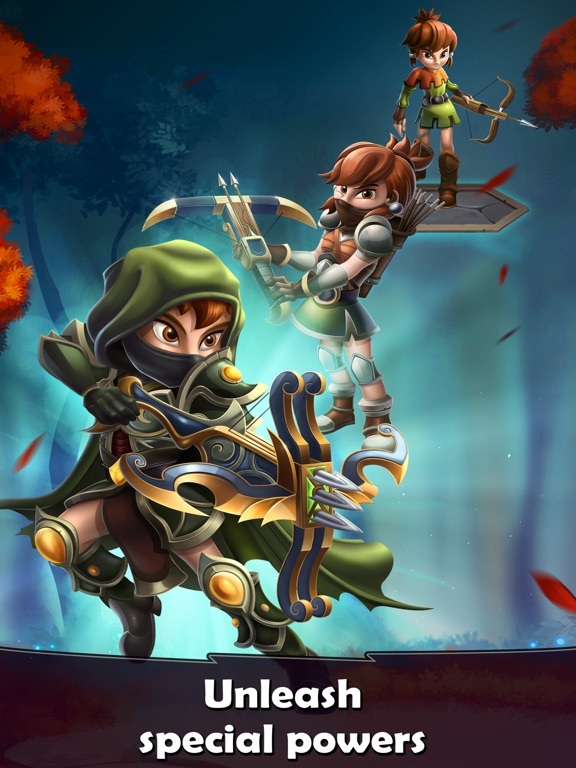 Discussion in 'iPhone and iPad Games' started by DTK, Oct 31, 2017. 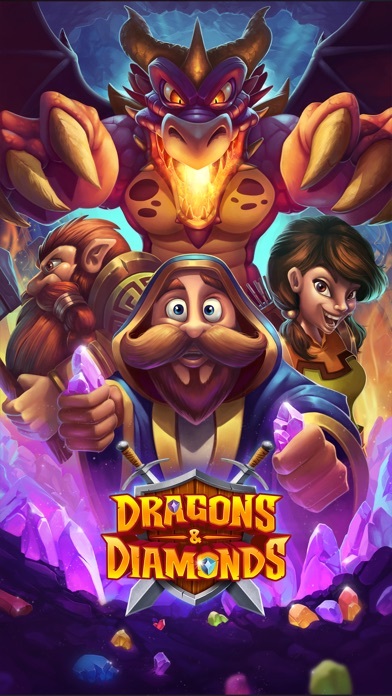 There’s just one thing keeping you from treasure and riches beyond your wildest dreams: an infestation of deadly dragons. But these aren’t just any old fire breathing dragons, oh no. Each one you encounter is more challenging than the last, wielding fiery, fearsome powers that no-one could tackle alone. 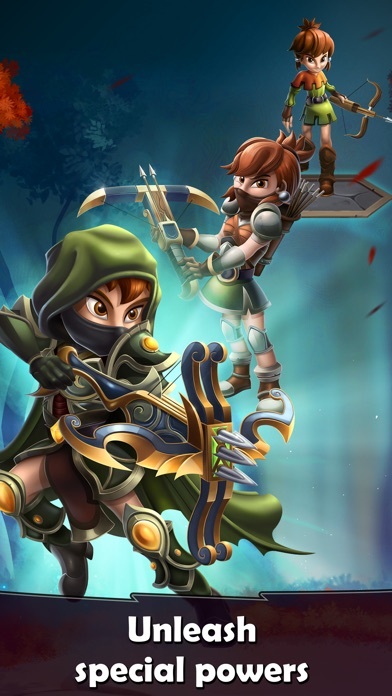 Build the best team of hunters: To get your hands on that precious treasure, you’re going to need a helping hand. 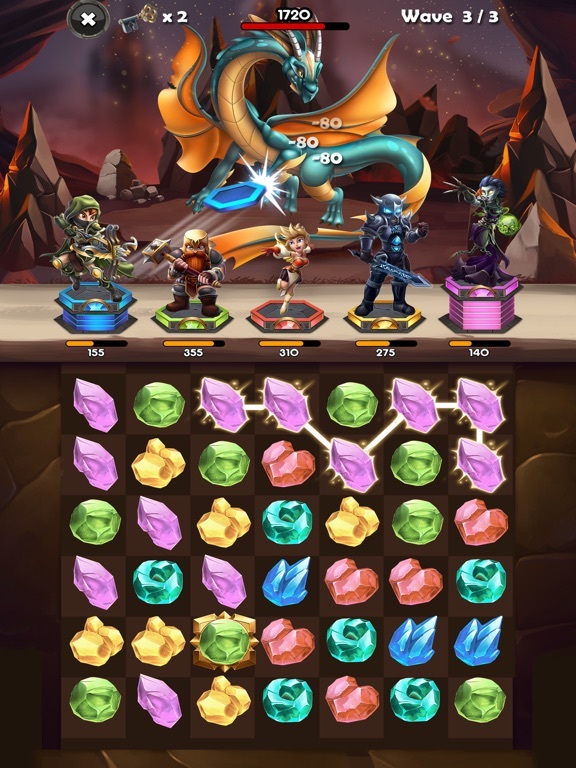 The dragons have captured a host of brave, adventurous (or just plain greedy) bounty hunters and only you can rescue them. 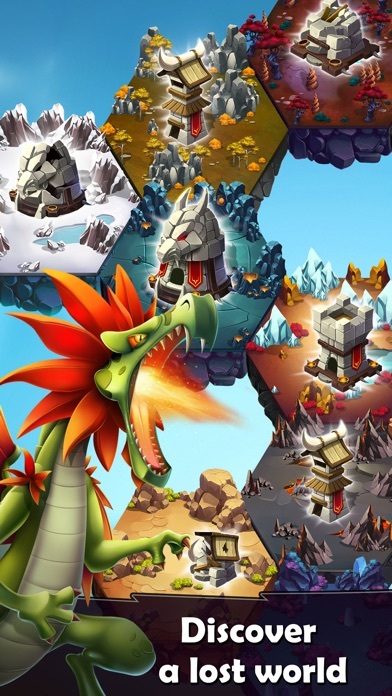 Build your team to rid the world of these terrible dragons, get in and grab the treasure before it’s too late. 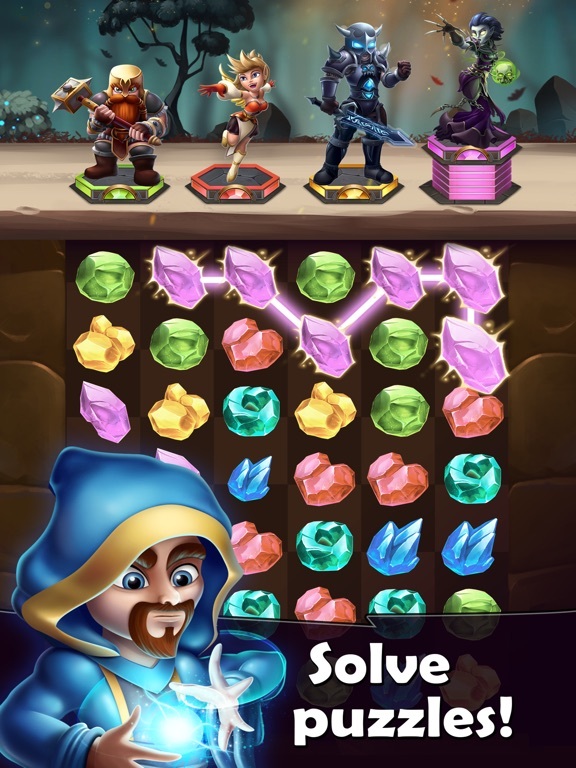 Use your best strategy to win invaluable chests: A team can only be as good as its battle plan. 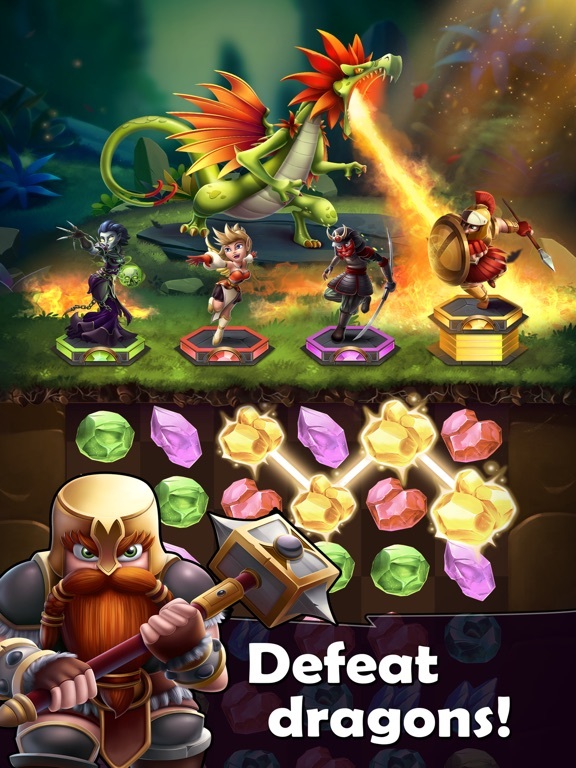 Your challenge is to find the best match of diamonds to defeat the dragons and the minion beasts who serve them - choose the right hunters for your quest, equip them with powerful items and face the vicious dragons on the battlefield. 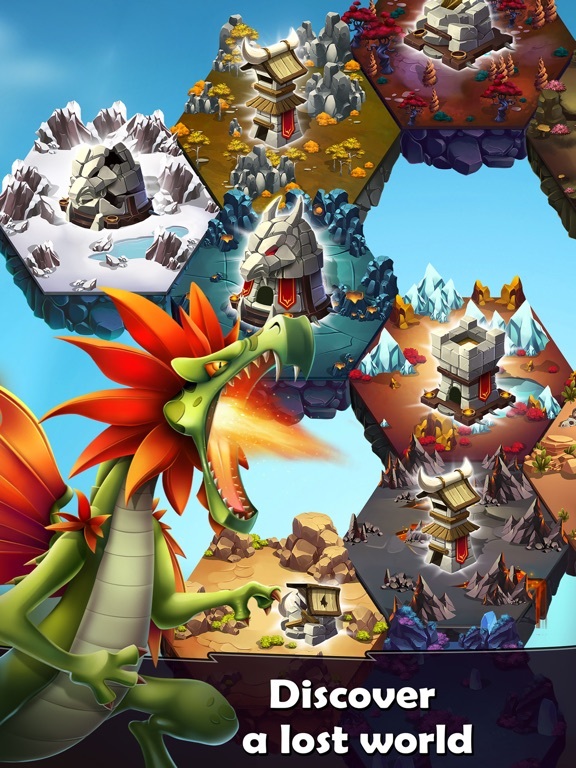 Discover a lost world: Enter the fantasy world of Dragons & Diamonds to journey on a puzzling adventure. 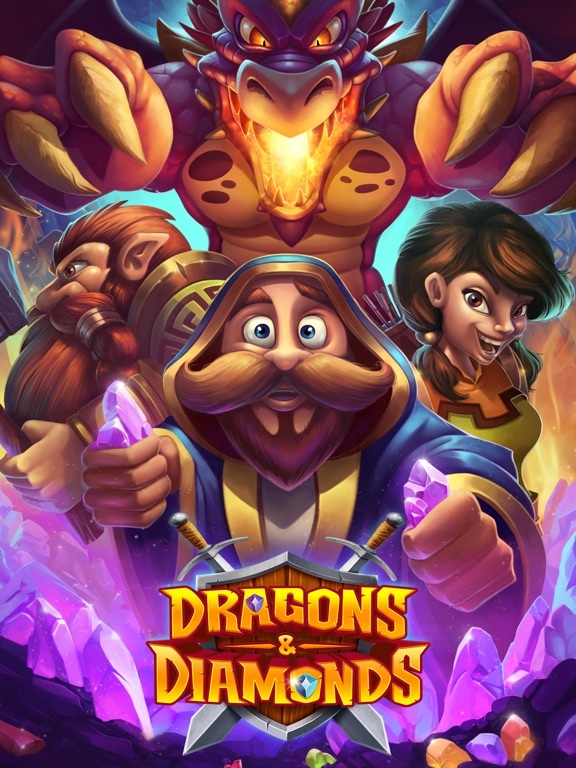 Travel from dusty wastelands, across volcanic passes and frozen peaks while you explore a lost world filled with dangerous dungeons, treasure beyond imagination and vicious beasts waiting around every corner. 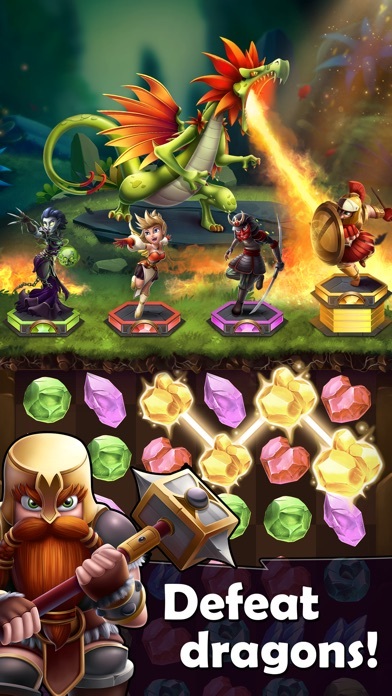 Play Dragons & Diamonds now: - Enjoy the challenge of this epic, free-to-play fantasy RPG - Defeat dragons by matching chains of diamonds for maximum damage - Match 3 or more diamonds of the same colour to damage enemies or heal your team - Choose the best combination of hunters for each battle - Collect loot to upgrade your party and make it even stronger - Save land after land from the dragon infestation as you explore the world Think you’ve got what it takes to face this deadly challenge? 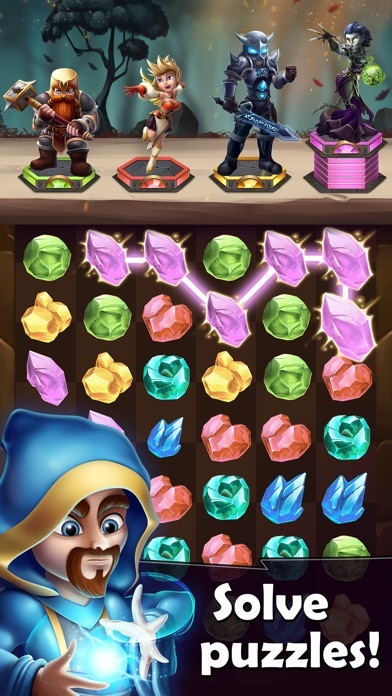 Prove your might and install Dragons & Diamonds today, or the precious treasure will be lost forever! Found this in the Phillipines appstore. downloading, wil ltry it and see. 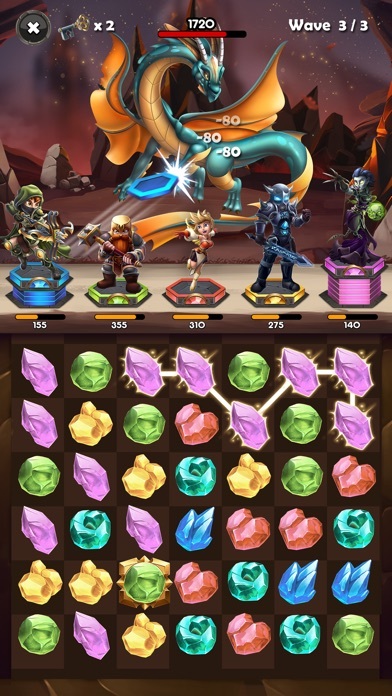 Edit: sadly, the battle is not animated, using instead the “power and line to the enemy” a la puzzle and dragons etc. This was the reason i deleted it so i cant comment further in gameplay.